The dog breed who holds the number one spot for popularity according to the American Kennel Club (AKC) is none other than the Labrador Retriever! Labradors, or “Labs” as they’re affectionately called, are the quintessential American family dog. They’re adored for their sweet dispositions, high energy, and loyalty. Their gentleness and endurance are a result of being bred to serve as fishing companions. The very name “retriever” tells you about the role they’ve played historically: Labs were meant to retrieve ducks, fishermen’s nets, and more from the water! Many claim that Labs have the perfect temperament. They’re friendly with everyone, from dogs to human strangers and from kids to cats. The main reason they may occasionally not be accepted by a cat, though, is their rambunctiousness. But most Labs genuinely just want to play! 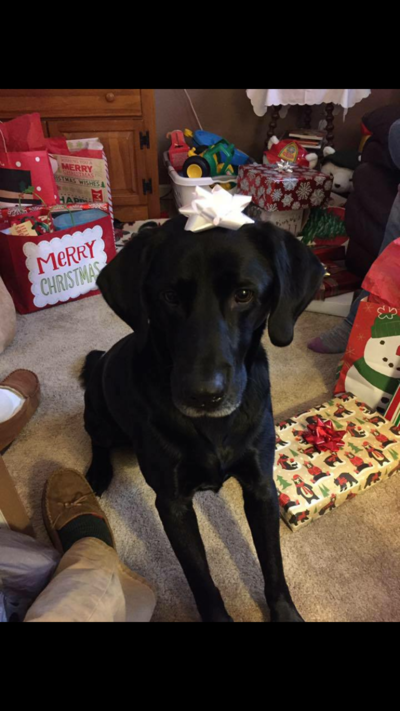 Because of their temperament, and particularly their desire to please their pet parents, Labs are an excellent search and rescue, therapy, and service dog. Caring for a Lab involves investing in a high-quality dog food without fillers, such as soy and corn, just as with any other dog. They are prone to obesity so make sure you measure each meal rather than letting your Lab continue to eat as they please. In terms of grooming, it’s important to know that Labs shed considerably because of their double-layer coat. On the other hand, they don’t require an awful lot of grooming beyond the occasional bath and brushing! The most important consideration to take with caring for a Lab is being able to provide plenty of exercise opportunities. Labs are officially considered a sporting breed and will likely develop troublesome and disruptive behaviors without sufficient outlets. If you bring a Lab home, consider enrolling them in classes and/or taking them on frequent hikes! Since they’re such adept swimmers you might even go out in the water with them. If your schedule won’t allow you to give your pet the proper exercise that they require, consider booking a few days of play in Doggie Day Camp. Labrador Retrievers may sound like the ideal canine companion, and we’ll agree they come very close. That said, Labs are prone to certain issues that you ought to be aware of, including the aforementioned tendency to overeat and a predisposition to hip dysplasia. Bring your Lab in for regular checkups and make sure the hips are examined. You’ll also want to be watchful for ingestion of non-food items including their toys. Apart from these few considerations, Labs are generally healthy dogs and have an average life span of 10-12 years or so. If a Lab sounds like the right furry friend for you then consider a rescue organization or a local, responsible breeder that you can find through the AKC. Once you pick up your new pup bring them in for an initial examination and consider signing up for one of NOVA Pets’ Wellness Plans to save on care throughout the year! To schedule your Lab’s first appointment call us at (703) 378-9791.